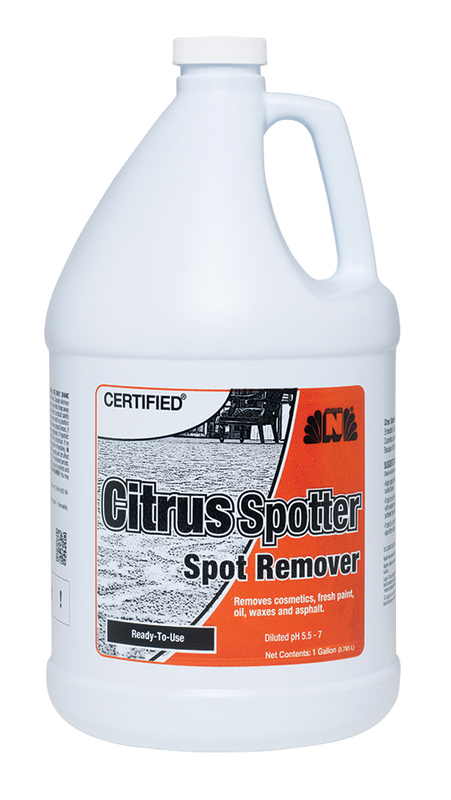 Citrus Spotter is a new type of environmentally responsible product formulated with natural citrus derivatives. It contains no chlorinated solvents. Use on stains such as light grease, asphalt, oil, inks, etc. pH of use dilution is approximately 9.0. Applications: Removes grease, asphalt, oil, fresh paint, waxes.